Arranged below are the three major furnace types--modulating, two-stage, and single stage--in descending order of efficiency (AFUE*) and cost. Leading the way is the newest, most cost- and energy-efficient, yet most expensive furnace. All three of these models have good and bad aspects so make sure you choose what is right for your home. Summary: Furnace's flame and blower minutely change according to your heating needs. Why You Want It: Comfort and energy-saving are most important to you, and you do not mind spending more for this. Downside: It runs more frequently than single- or two-stage furnaces (though less noticeably). In terms of comfort, it is the most comfortable gas furnace you can buy because you avoid those long, cold periods (found in single and two-stage furnaces) and high build-ups of heat when the furnace eventually responds. 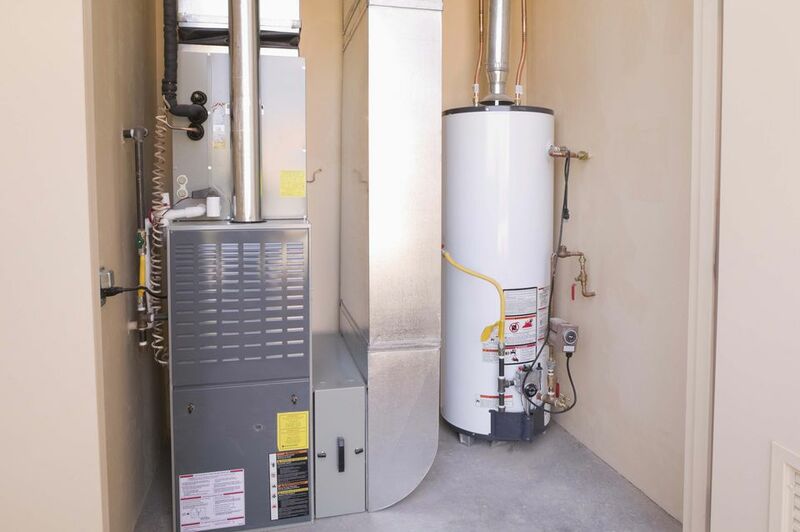 Modulating gas furnaces are among the most energy-efficient furnaces and are rated at 98% efficiency. These are also the highest cost furnaces. Summary: A simpler version of the modulating furnace. Instead of many incremental changes in heat and blower force, the two-stage furnace only has two: high or low. Why You Want It: You want more comfort than the single-stage furnace can afford, but the modulating furnace's cost is out of your reach. Downside: Two-stage occupies vague middle ground--not as efficient as modulating furnace, not as cheap as a single stage. The two-stage furnace is simpler than the modulating furnace but more clever than the single stage furnace. Rather than a simple on/off operation, its flame can be on/high, on/low, or off. Adding this second flame setting makes a dramatic difference in energy costs. Two-stage furnaces are much quieter than single stage furnaces and slightly higher cost. Summary: This classic, old-school furnace turns on when the house is cold; off when the house is warm enough. Why You Want It: You want the absolute possible cheapest furnace. Major fluctuations in heat/cold within the house do not bother you. Downside: Those long periods of cold before the furnace turns on. At some point in your life, you have probably lived in a house with a single stage furnace. The gas flame is either on or off. Consequently, the furnace waits for the temperature in the house to get cold--often colder than comfortable--before firing on. Then, the furnace rams the house full of heat until the thermostat shuts the system down. You are left with a lot of heat build-up, which is great if you are a "cold-blooded" person but bad for your energy bills. For a target of 72 degrees, actual temperatures in your house might range as low as 68 degrees and as high as 76 degrees. Single stage furnaces are the most wasteful in terms of energy, but they are the lowest cost to purchase. * = AFUE, or Annual Fuel Utilization Efficiency, according to EnergyStar, "measures the amount of fuel converted to space heat in proportion to the amount of fuel entering the furnace. This is commonly expressed as a percentage." In other words, AFUE refers to a furnace's efficiency. Higher AFUE numbers are better.